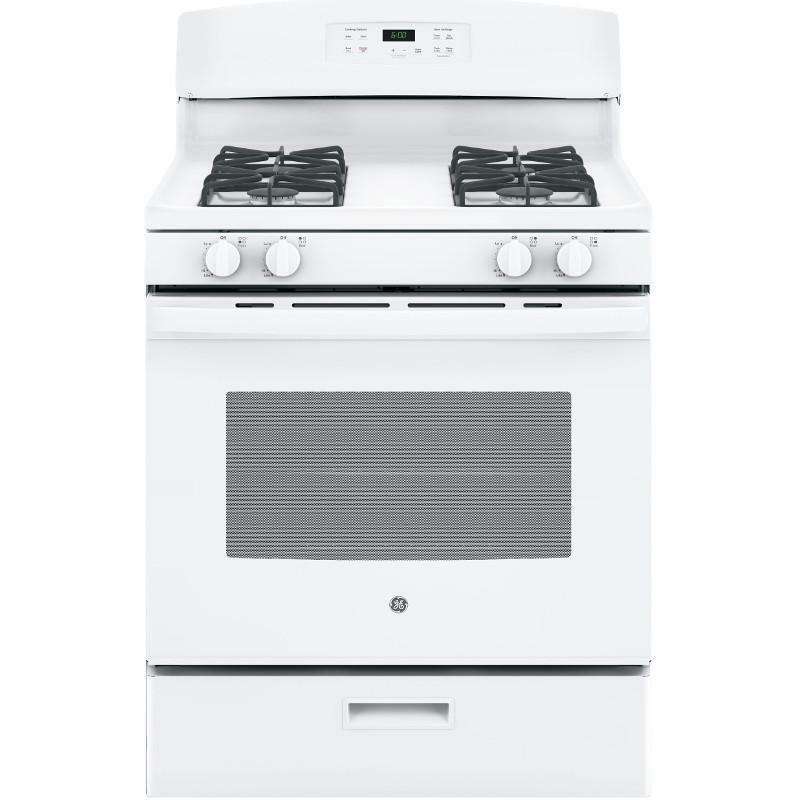 GE offers a 30" white freestanding gas range with an oven capacity of 4.8 cu. 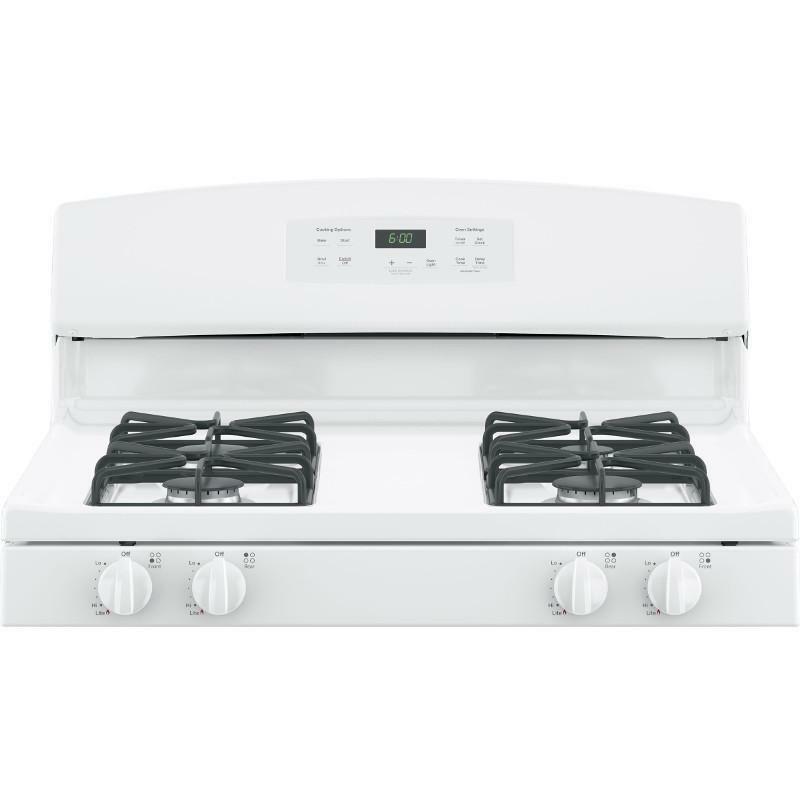 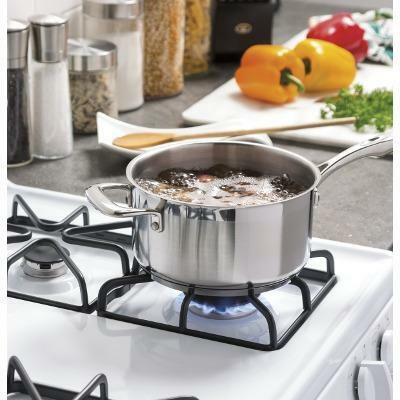 ft., sealed cooktop burners and black matte steel grates. 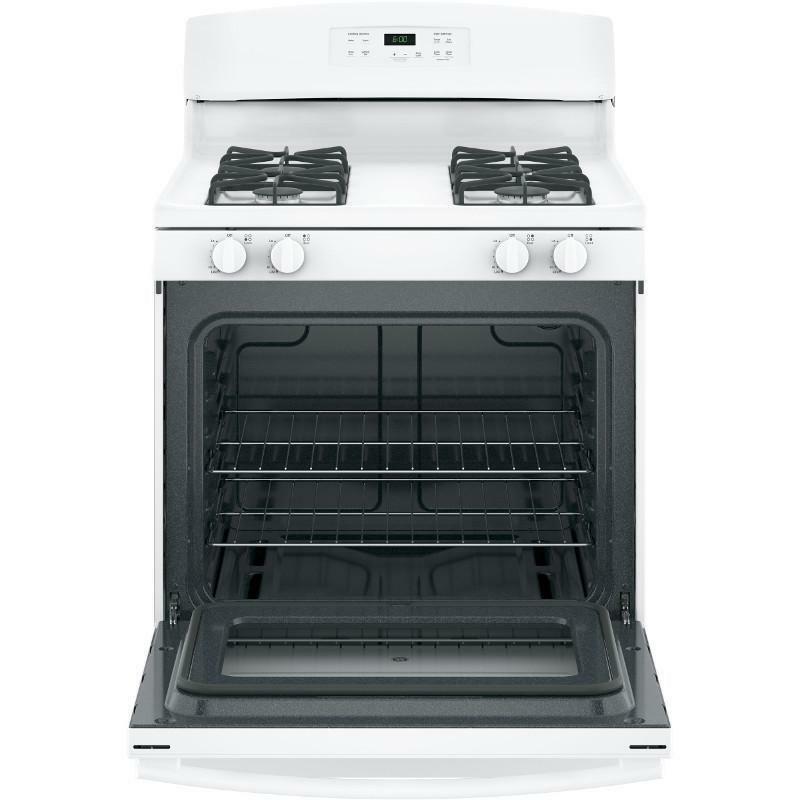 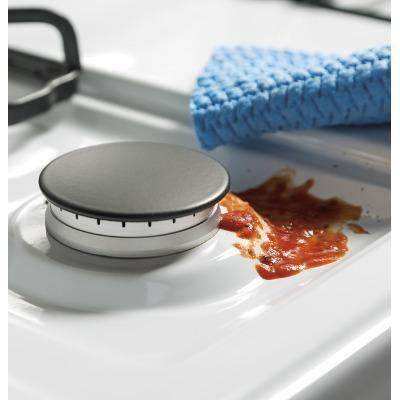 This standard clean oven features a broiler drawer, electronic touch controls and audible preheat signal. 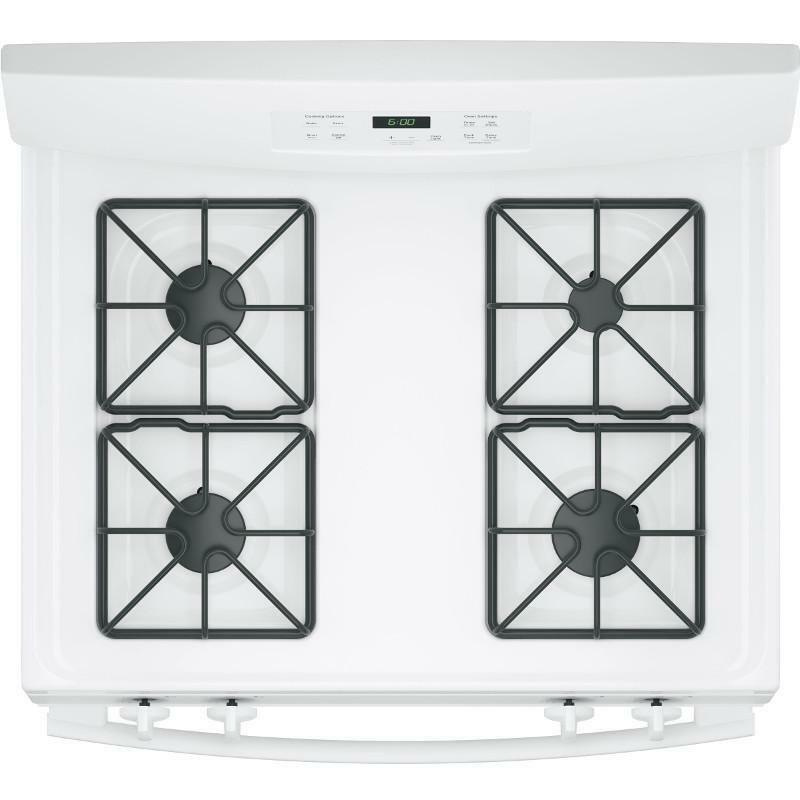 The Star-K certified appliance also provides a Big View oven window and 2 flat nickel racks.